"Here is greatness . . . wonder . . . and majesty . . . no human words can describe!" The Song Of Bernadette is the inspirational story of Bernadette Soubirous which takes place in Lourdes, France in the 1800's. While gathering firewood with her sisters, Bernadette is visited by a celestial lady. Previously weak and prone to illness, the girl becomes full of life. Relentlessly questioned by the authorities of her village, she never falters in the belief that she has seen a holy vision. 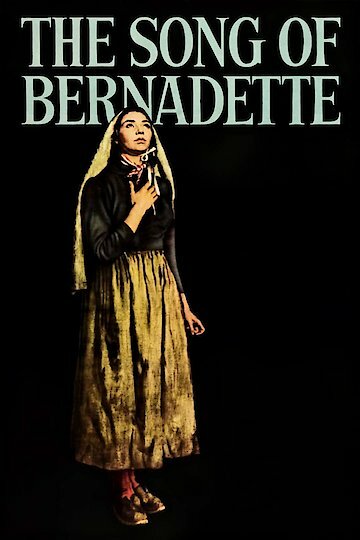 This movie is based on the story of Saint Bernadette. The introduction states that for those who believe in God, no explanation is necessary and for those who do not, no explanation is possible. The Song of Bernadette is currently available to watch and stream, buy on demand at Amazon, Vudu, FandangoNow, iTunes, YouTube VOD online.